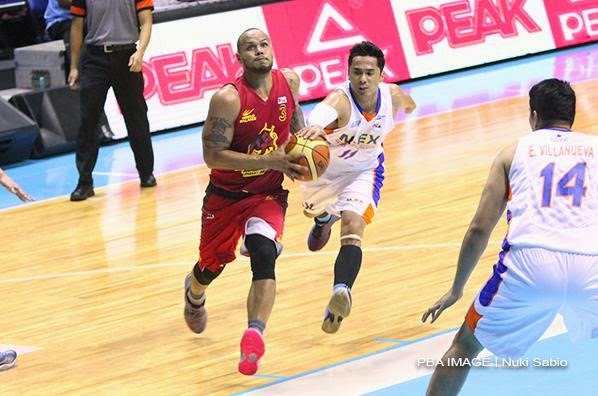 The Barako Bull Energy, with the PBA Commissioner’s Cup playoffs in their minds, mounted a furious rally late as they snapped red-hot NLEX’s five-game winning streak after a 91-85 decision on Tuesday at the SMART-Araneta Coliseum. 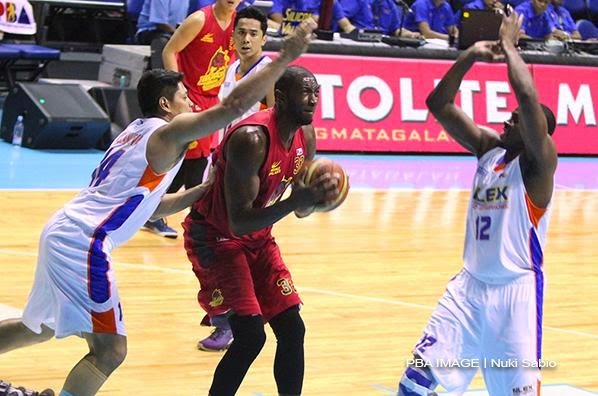 With the victory, Barako Bull, which had lost four straight games, boosted its chances to make the postseason after clinching a fifth win in 11 games. They stand in seventh place with only eight qualifying for the quarterfinal round. They fell behind, 85-79, with about six minutes remaining in the fourth quarter but closed out on a 12-0 run to secure the crucial victory. 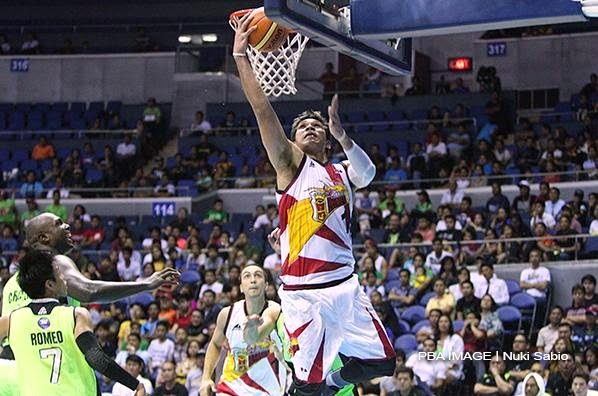 Chico Lanete led Barako Bull’s locals with 13 points. Import Solomon Alabi posted 29 points, 15 rebounds, and 4 blocks. NLEX dropped to 6-5, currently good for fifth place. Mac Cardona starred for NLEX in the third, where he scored eight of his 15 points. He also scored the Road Warriors final basket of the game, giving his team an 85-79 lead with half a quarter left to play. 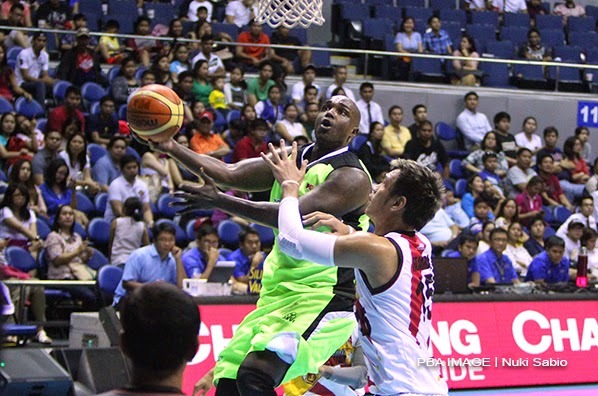 The Road Warriors’ import, Al Thornton, ended up with 24 points, 9 boards, and 4 assists. Line of the Game: Solomon Alabi (BAR) - 29pts, 15rebs, 4blks, 1ast, 1stl, 10/17 FGs. 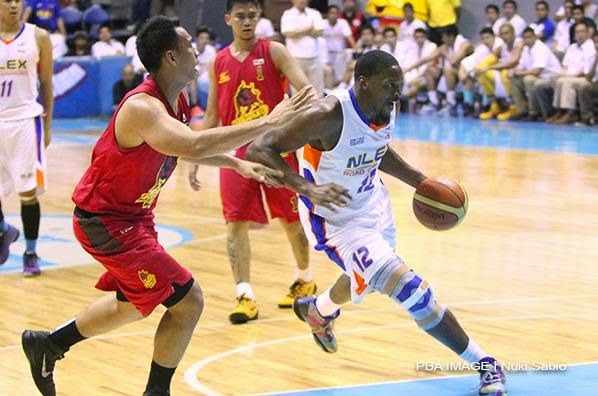 Al Thornton and the Road Warriors dropped a crucial game against Barako Bull. Solomon Mercado had a great outing for the Energy. In the end, Solomon Alabi was just too big and talented to get contained. The San Miguel Beermen clinched a victory albeit one that would not be enough to send them through to the Commissioner’s Cup playoffs as they knocked off GlobalPort, 106-94, on Tuesday at the SMART-Araneta Coliseum. 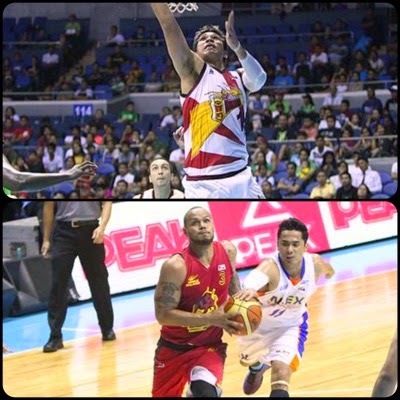 June Mar Fajardo scored 31 points, grabbed 19 rebounds, and blocked 4 shots in a dominant showing, while import Arizona Reid came alive in the second half to finish with 20 markers in the Beermen’s win. San Miguel closed its elimination round schedule with a 4-7 record, tying their victims and the idle Kia Carnival. The Beermen, though, needed to win and do it by a large margin – somewhere in the area of 30 points – to keep their flickering playoff hopes alive due to a vastly inferior quotient. That looked like it would be a tall order for the Beermen from the start, with GlobalPort’s Terrence Romeo and Derrick Caracter seemingly headed for big games in the first half. Romeo scored 13 points in the first half while Caracter already had a double-double of 10 points and 13 boards as the Batang Pier led by six points, 55-49, at the half. But with Caracter encountering foul trouble in the third quarter, San Miguel leaned on MVP Fajardo to swing the tide in its favor. Romeo contributed a mere two points in the second half, finishing with 15 for the game, while Caracter had 18 points and 19 rebounds. Line of the Game: June Mar Fajardo (SMB) - 31pts, 19rebs, 4blks, 1stl, 10/15 FGs. 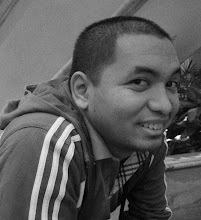 AZ Reid vowed that the Beermen would do much better in the next round. 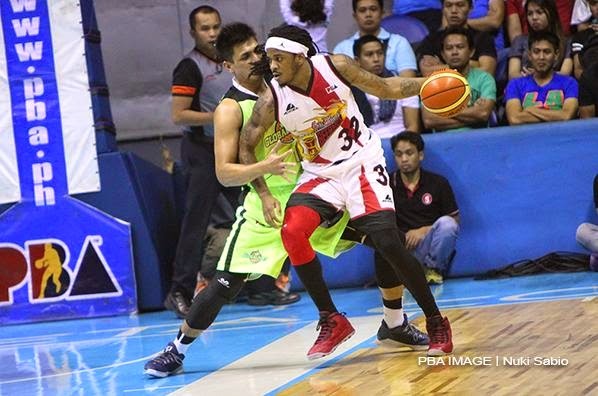 Derrick Caracter fell short of leading the Batang Pier to the W.
June Mar Fajardo played like a man on a mission for SMB.